Hello members of the Forum of Codes! We are happy to announce a new contest:The signature of the week! We want to see the best works we have ever seen, but don't worry! Every works are good, so... Enjoy! Perfect idea but for price..... maybe make for the winner banner,ranks,buttons,navbar for his forum from the designers here? 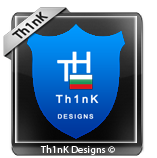 @Th1nK wrote: Perfect idea but for price..... maybe make for the winner banner,ranks,buttons,navbar for his forum from the designers here?